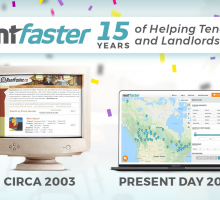 Are you struggling to find space in your apartment? Depending on what your budget is, a small apartment may be just the place you end up in. You find yourself bumping into the couch, piling your books on the floor, and maybe eating off of the coffee table. So, when you have a limited area to work with, how do you save space? 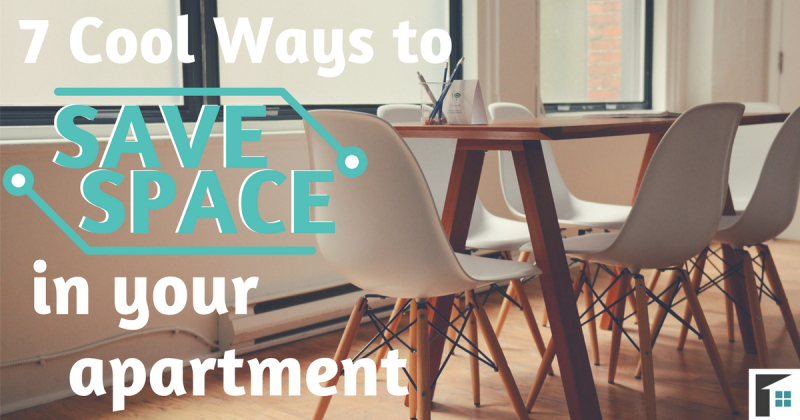 Here are 7 cool ways to save space in your apartment! 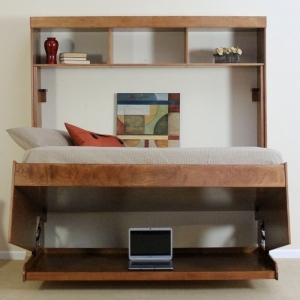 Having a hard time fitting a desk and a bed into your bedroom? With inventions like the Murphy Bed, you don’t need to! There is a wide variety of multi-purpose furniture available that will reduce the amount of furniture you need by making one piece – multi-purpose! 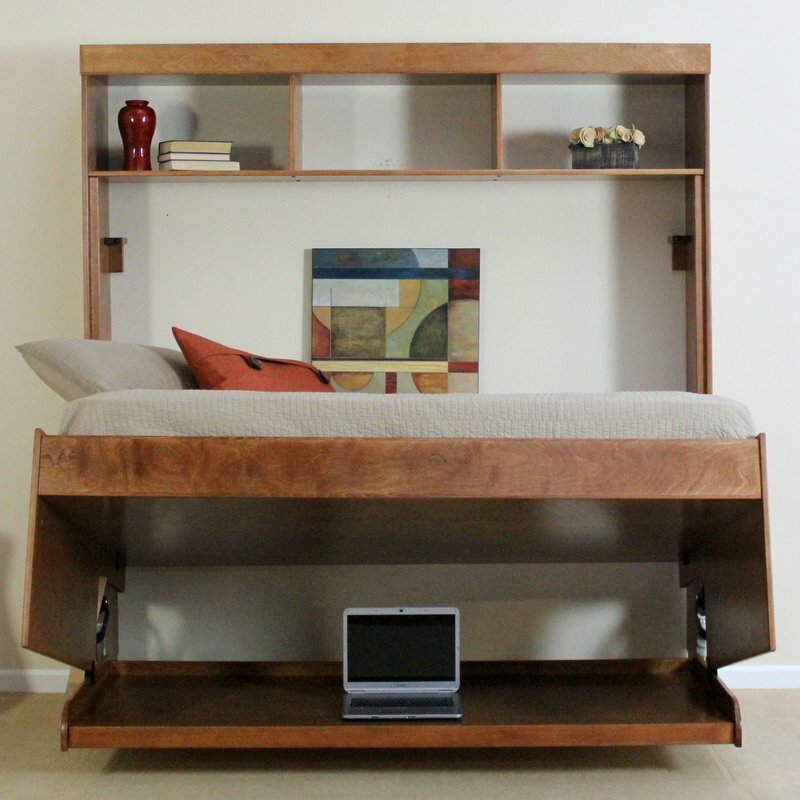 The Murphy Bed in particular is a bed that lifts up to the wall, and beneath is a desk. The best thing about this Murphy Bed is that the desk never tilts or turns, keeping your stuff just where you left it. Because you are limited on space, it can be helpful to eliminate the size of your furniture. But what about when you have guests over, or a big project to spread out? A number of foldable home items are available that will ‘fold down’ when needed and expand when required. Items like drop leaf tables, folding chairs, etc. store nicely. If you are hosting a get together and need more space for people to stand, these items can be folded up so that more room is left to party. Hidden storage is the most innovative way to make the most of your small apartment. 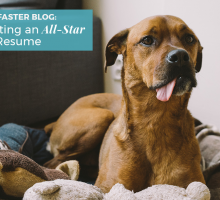 Stair steps are turned into drawers, empty spaces behind hung photos, rolling boxes under beds, and a number of other things you can do to add extra storage to your apartment. 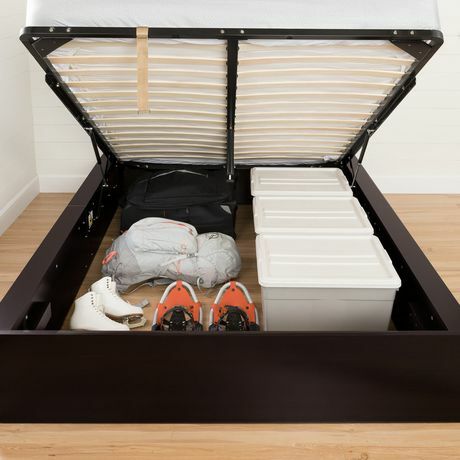 There are beds that lift up revealing an entire space to keep your infrequently-used goods, or sofas and chairs that have pull out drawers beneath them. Because the one thing that is bulkier than your ‘stuff’ is the storage unit you get to hold it. You are limited on the square footage you have to work with, so save space by storing things up high! Floating wall shelves, as well as tall shelving units, are available at furniture stores or online. When you store things closer to the ceiling, you leave more space on the ground for the things you use on a daily basis. Not to mention, bookshelves that go to the ceiling are a dream by any bookworm (hello personal library)! When you are limited on space, you may not have the luxury to have large shelving units and bookshelves. 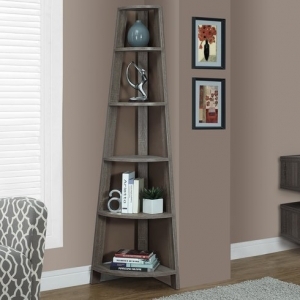 Take advantage of the corners of your apartment and save space by purchasing Corner bookshelves. These can work especially well for small corners in your home that would not normally fit any other pieces of furniture. 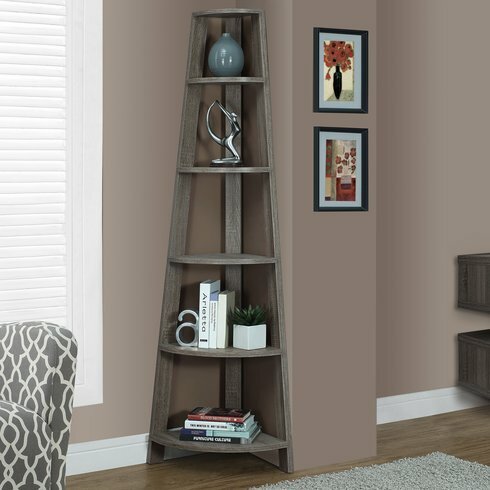 This allows you to store your books, add some personal décor, or show off your family photos in a space that may not otherwise have room. Many people have a number of lamps that need to be placed on a table or the floor. Although it may not seem like much, these lights actually take up a lot of space (corners of the room and table-tops). 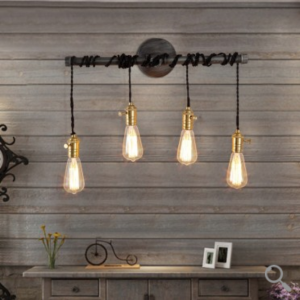 Do yourself a favour and save space by purchasing pendant lighting! There are hundreds of beautiful wall and ceiling fixtures that not only act as a light source, but also can compliment your style. Don’t want just another light fixture? 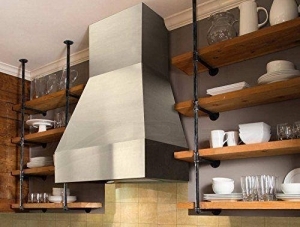 There are unique and creative fixtures you can put on the wall that will add a little flare. Use this opportunity to add personality to your space! If your apartment is too small to have a room dedicated to laundry, create a mobile one that can easily be pushed away! 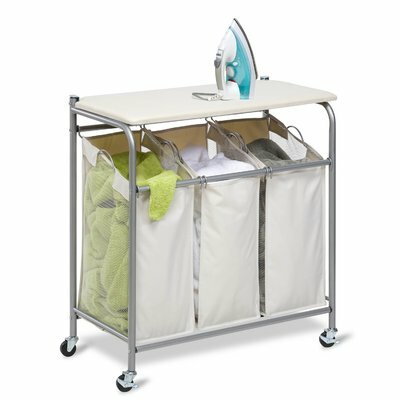 By putting a small station on wheels, you can bring it into the main room when needed, and store it in a convenient place when finished. This cool way to save space limits the square footage needed for permanent pieces since they can roll away into tight quarters until needed. Do this for your laundry, a kitchen island, or a small mobile bar (equipped with drinks and glasses!). 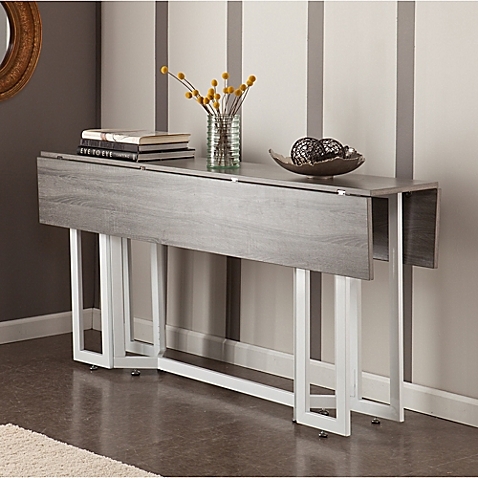 When you fill a small space with furniture, it leaves the room feeling crowded and cramped. 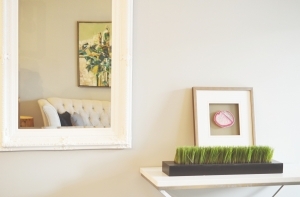 “Create” the feeling of more space by adding more mirrors into your décor. 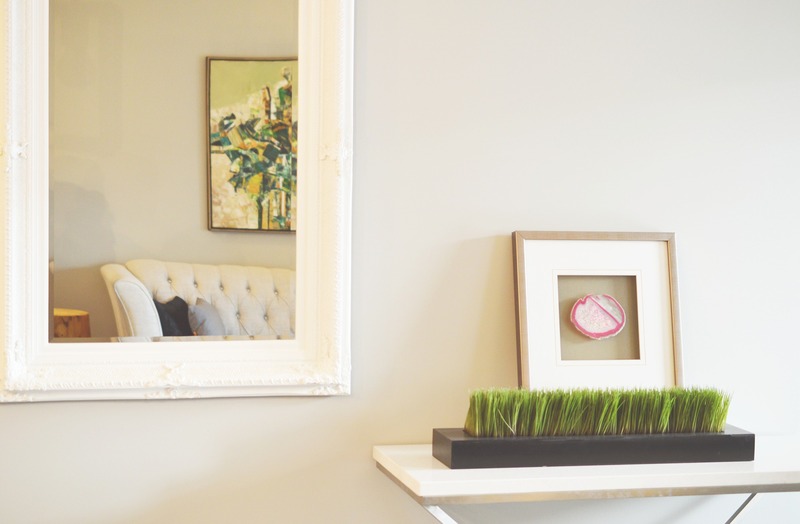 Have mirrored cabinet doors, add a mirror at the end of a hallway, or use mirrors in place of art. Doing this will create the illusion that your space is actually larger than it is! 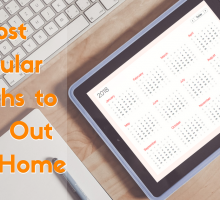 Use these cool methods and save space in your apartment! You will be amazed at how much room you actually have!